Are you afraid that your loved one is being abused or neglected in a Brunswick nursing home? If so, need to learn more about what to do and how to take action. Our website provides information and tools to help you learn as much as possible about the problem. Once you have a chance to review the information you may want to give us a call. We are available to assist you. You may wonder about the use of the words abuse and neglect. While they are similar, they are also different. Abuse occurs when someone intentionally does something to harm another while neglect is unintentional. Both may result in an injury or death of a nursing home resident. An example of neglect is when a caregiver fails to help a resident get from the bed to the wheelchair and the resident falls. Regardless of whether an act is intentional or not, a nursing home resident should not have to tolerate these behaviors. When should I bring a claim on behalf of my loved one? It is never an easy when your loved one has been injured in a nursing home. If the injuries are significant then your loved one may be hospitalized and need to recover. However, do not wait to file a claim on behalf of your loved one. The sooner you file a claim the better because your attorney will be better able to obtain the information necessary to prove your case. It is almost always best to seek help as soon as possible if you suspect abuse in a nursing home. In addition to getting justice for your loved one, you will also be saving others from abuse by filing a claim and having the nursing home investigated. What Georgia agency regulates nursing homes? Nursing home care in Georgia is regulated by Health Facility Regulation (HFR), which is a division of the Georgia Department of Community Health (DCH). They are responsible for overseeing all aspects of nursing homes including health care planning, licensing and certification. HFR monitors and inspects nursing home facilities to ensure compliance. In addition, they inspect and certify Georgia nursing homes that participate in federal programs such as Medicaid and Medicare. If you learn of a problem with a nursing home you may file a complaint with the HFR. They will investigate the claim and determine the course of action that they need to take. For example, they may issue a notice of a violation that must be resolved within a specific period of time. We are Schenk Smith, your Brunswick nursing home lawyers. Our website is filled with information and details about nursing home abuse and neglect because that is all we do. We focus only on nursing home cases and not on any other type of law. We are the best Google-reviewed law firm in Georgia that focuses only on nursing home cases. In the last two years we have obtained millions of dollars for our clients in verdicts and settlements. We have quite a bit of information for you to review on our website. Once you have had time to review it let us know if you have any additional questions. You may choose to call us to schedule a consultation. We are available to come to your location whether you are near the Brunswick Old Town Historic District, Howard Coffin Park or St. Simons Island. Nursing Home Abuse & Neglect in Brunswick, Georgia- What you need to know. Brunswick, Georgia is located in Glynn County and has a population of 14,434. Of those, 8.40% are aged 65 and older. Unfortunately, nursing home abuse can occur anywhere, including in Brunswick. Are there certain signs of abuse? There are various kinds of nursing home abuse and there are some signs or symptoms that you can watch for in your loved one. Physical Injuries – You may notice physical injuries to your loved one. Some of the most common injuries are bruises. Injuries can occur for many reasons but are often a sign that abuse has taken place. If you notice any type of physical injuries you should inquire to nursing home management to find out whether an injury report was filed. Changes in Behavior – If you visit your loved one and he or she seems withdrawn or doesn’t want to talk, it could be due to an incident of abuse. It is common for an abused nursing home resident to withhold the information from others because of fear of retaliation. They don’t want to be hurt for reporting the incident. This is what allows some abuse to continue for periods of time. Compromised Mental State – Your loved one may suddenly seem to have a compromised mental state. The situation may have gotten worse because of an incident of abuse. Your loved one may be unable to deal with the situation and it may cause their mental state to diminish. Repeated abuse may be mentally debilitating to an elderly person who is living in a nursing home. Are there common injuries in nursing homes? Broken Bones – Broken bones or bone fractures are common injuries in nursing homes. They may occur due to falls. A broken bone or fracture isn’t always a simple injury for an elderly person. The injury may require surgery and your loved one may be bedridden while the injury heals. This can lead to additional injuries such as bedsores and infections. Complications from broken bones can lead to a person’s decline in overall health. One of the most common injuries of this type is a hip fracture, which often requires replacement. Bedsores – Bedsores are also known as pressure ulcers. They are small, painful marks on the skin that can worsen and cause serious medical harm. Bedsores form in areas where a person’s skin rubs against something else. For instance, they often occur on the heels, elbows and tailbone. They form because a person who is immobile has not been repositioned adequately. Bedsores can quickly worsen and a wound can open up, which can easily become infected. Medication Overdose – Most people over the age of 65 take at least one prescription medication daily and many people take a variety of medications. This can lead to problems when a caregiver provides the incorrect medication or the improper dosage. Sometimes the error doesn’t cause any lasting harm, but other times it creates a serious medical emergency. An overdose of medication could cause serious medical consequences and may even be fatal. Why is nursing home abuse so prevalent? Nursing home abuse occurs for many reasons. Sadly, it happens in nursing homes across the country and here in Georgia. There are several reasons why nursing home abuse occurs with some frequency. Inadequate Training: Caregivers must have proper training in order to know how to provide care to residents. When a nursing home does not provide training to employees or fails to give enough training, the result can be a staff that doesn’t know what is expected. They may not be aware of how to offer good care to people who are nursing home residents. Poor Management: Workers who are unsupervised or are not provided with the information they need to do their jobs may be more likely to abuse residents. Staff members may not be properly prepared to provide care and they might not have the support of a caring management team. Insufficient Staffing: Nursing homes often have a high turnover rate and may not have the funds to pay good wages. Therefore, the quality of the nursing home staff may be inadequate and the staff that is available may be overworked and underpaid. They may try to take shortcuts in care in order to handle the number of residents they have and the care they do provide may be inadequate. My loved one was hurt in a Brunswick nursing home- What do I do next? If your loved one was severely injured or passed away at a Brunswick, Georgia nursing home, then we recommend that you act as soon as possible to protect your loved one’s rights. There is another option for those whose loved ones were injured in a nursing home. You may file a complaint with the Georgia Office of the State Long-Term Care Ombudsman. The Georgia ombudsman program provides you with a way to file a complaint with an advocate located nearby. The ombudsman is provided with training and resources to handle claims of nursing home abuse and neglect. They are authorized to enter nursing homes to ask questions in order to find out what occurred at the facility. You may file a police report in situations where your loved one was assaulted or suffered abuse or severe injuries caused by unlawful actions of the nursing home. In some cases, charges may be brought against an individual by the District Attorney’s Office: Brunswick Judicial District. For abuse occurring in a Brunswick, Georgia nursing home, report the crime to the City of Brunswick Police Department or to the Glynn County Sheriff. It is often a good idea to relocate your loved one to another nursing care facility if you believe that abuse or neglect has taken place. You may wonder how to choose another nursing home and how to find one that will provide proper care. A visit to the facility will give you a good idea but you can also get some important information through the Nursing Home Compare Website provided through the United States Centers for Medicare and Medicaid Services (CMS). They offer a useful online tool that provides you with information such as care ratings, inspection information and more. For your convenience, a list of all nursing homes located within Brunswick, Georgia is located below, along with their contact information and inspection scores. The medical records of your loved one are incredibly important. They are necessary in order to provide proof of the exact injury and information such as the date and time of treatment. This information is a valuable part of your case because it will help prove that abuse or neglect caused the injury. The nursing home will likely try to say that the injury didn’t happen while in their care or that the injury is old. Medical records will help dispute those types of claims and show that the injury did indeed occur while at their nursing home. Medical records are not available to anyone who requests them. Simply because you are a spouse, son, daughter or other relation doesn’t entitle you to someone’s medical records. Medical information is private and only available to that person unless you have authorization. Hospitals and other medical facilities are required to obey federal and state privacy laws. In order to obtain authorization you must have power of attorney or be a legal guardian. Power of attorney can be provided through a legal document or through a living will such as a healthcare directive. In that case, the person named in the document has the legal authority to request health care information. When someone is alive they are able to file a lawsuit when they encounter a situation in which they were wronged. This right does not terminate once a person passes away, however, there is a process in place that must be followed. When a lawsuit is filed the person filing the claim is the plaintiff. When a person is deceased a lawsuit can be filed on behalf of the person’s estate. The person’s estate is therefore the plaintiff. Only a person who is legally allowed to file a lawsuit can do so. In this case, only the named estate administrator or executor is allowed to act on behalf of the deceased person. First, an estate must be filed in Probate Court in the county in which the person passed away. An executor will be appointed as part of the process of establishing the estate. Once established, the personal representative is allowed to act on behalf of the deceased person’s estate. Click here for the Probate Court for Glynn County. Nursing homes vary in the quality of care they provide to their residents. Here is a list of nursing homes in Brunswick so you can choose more easily. This information is provided on the CMS Nursing Home Compare website. Experience: Our attorneys have the knowledge and experience necessary to handle any type of nursing home case. We concentrate on nursing home abuse and neglect and our attorneys are passionate about it. 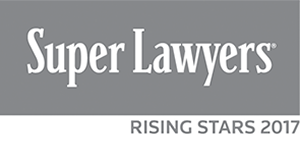 Our attorneys are members of senior citizen advocacy groups. 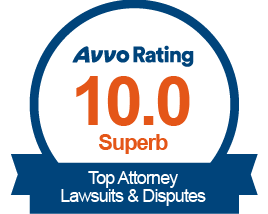 Our attorneys are among the top rated on Google reviews for nursing home cases in Georgia. Client Care: Our clients often feel like family and we have received a lot of good feedback. In most instances our clients will deal exclusively with one attorney and will even have access to the attorney’s cell phone. We are available to answer your questions and guide you through the process. Weekly Podcasts: We produce a weekly podcast to provide you with the latest and best information about nursing home abuse and neglect possible. We have hundreds of informative articles on our website to help you learn about abuse and neglect and what to do about it. If your loved one was injured or died in a Brunswick, Georgia nursing home, please call us at Schenk Smith (678) 823-7678 for a free consultation. You can also check out hundreds of video FAQs on our website.